The Theakston Old Peculier Crime Writing Festival unveiled its 2019 programme at a launch party at Browns Courtrooms last night (3 April), where Mari Hannah, chair of the 2019 programming committee, revealed a packed line-up. Now in its 17th year, the festival takes place at Agatha Christie's old haunt, The Old Swan Hotel in Harrogate, 18-21 July. Special Guests are James Patterson (pictured), MC Beaton, Stuart MacBride, Jeffery Deaver, Belinda Bauer, Eva Dolan, Erin Kelly, Harlan Coben, Ian Rankin and Val McDermid, who will be in conversation with Scotland's first minister, Nicola Sturgeon. Jo Nesbo will also launch his new Harry Hole thriller, Knife, at the festival. A special TV panel will feature Jed Mercurio, author of BBC's The Bodyguard. Renee Knight, Stuart Neville, Stella Duffy, Brian McGilloway, Steve Cavanagh, Mark Billingham, Chris Brookmyre, AA Dhand, Joseph Knox, Robert Crais, Elly Griffiths, Sarah Hilary, Imran Mahmood, Martyn Waites and Jonathan Freedland aka Sam Bourne are also on the programme. Val McDermid's annual New Blood panel features four hand-picked debuts: Gytha Lodge's She Lies in Wait, Holly Watt's To the Lions, Chris Hammer's Scrublands and Oyinkan Braithwaite's My Sister the Serial Killer. The opening night features the 15th Theakston Old Peculier Crime Novel of the Year Award, hosted by Mark Lawson. Mari Hannah said: "The Theakston programming committee has a reputation for attracting the finest crime writers to the festival from around the world and we've done it again. The response to this year's line-up has been incredible. I'm looking forward to welcoming readers in July." Simon Theakston, executive director of T&R Theakston and title sponsor, said: "Our celebration of the genre is no doubt the best in the world. 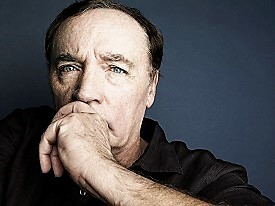 2019 is another remarkable line-up and it is a huge privilege to welcome one of the world's biggest selling authors, James Patterson, a remarkable advocate for reading who has donated millions to reading initiatives in schools, colleges and libraries."